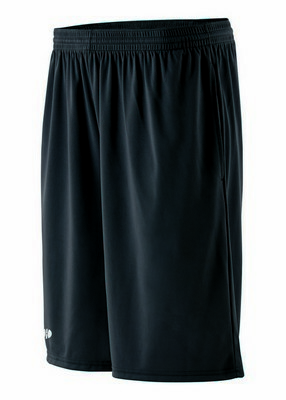 Our branded men's Whisk Elastic Waist Shorts feature an elasticized covered drawstring waist and easy entry side pockets. 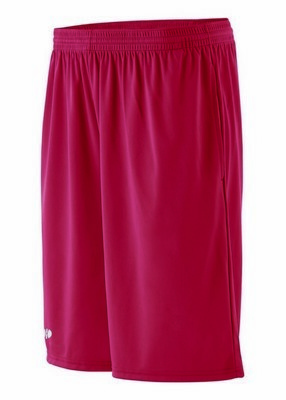 Another sport outfit from the house of Holloway, adult Whisk Short comes to impress you with its stylish design and ease of use. With five color options and many sizes to choose from, this short would surely leave a lasting impression on your potential customers when you give them away with your corporate logo. To offer ultimate comfort to the user, this short features a special Dry-Excel Micro-Interlock construction that creates dry and smooth surface with a great mechanical stretch. Along with this, new odor-resistance treatment and moisture wicking technology ensure that it lets you give the best performance in any condition. Easy entry side pockets add to the style while storing your essentials to carry. 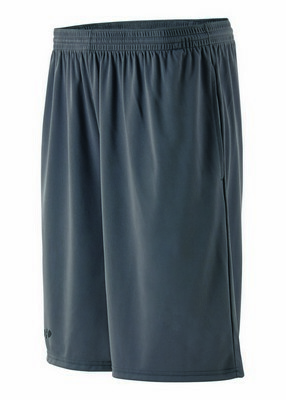 A covered elasticized drawstring waist lets you enjoy a comfortable fit. Book your order for this product to avail value price benefits! 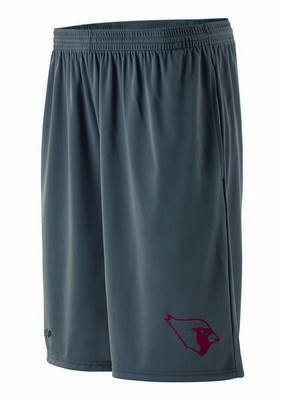 Our promotional Youth Whisk Elastic Waist Shorts are odor resistant and feature tagless labeling for extra comfort. Our Gildan Ultra Cotton T-Shirt is made from a pre shrunk cotton fabric for durability and fit.